Christmas And New Year In Medicine, General Practice Or Cardiology. Medical Stethoscope And ECG Tape With Pulse Trace In Foreground With Blurred Lights Bulbs Christmas Garlands In Background. Royalty Free Stok Fotoğraf, Resimler, Görseller Ve Stok Fotoğrafçılık. Image 92071504. Stok Fotoğraf - Christmas and New Year in medicine, general practice or cardiology. Medical stethoscope and ECG tape with pulse trace in foreground with blurred lights bulbs Christmas garlands in background. Christmas and New Year in medicine, general practice or cardiology. 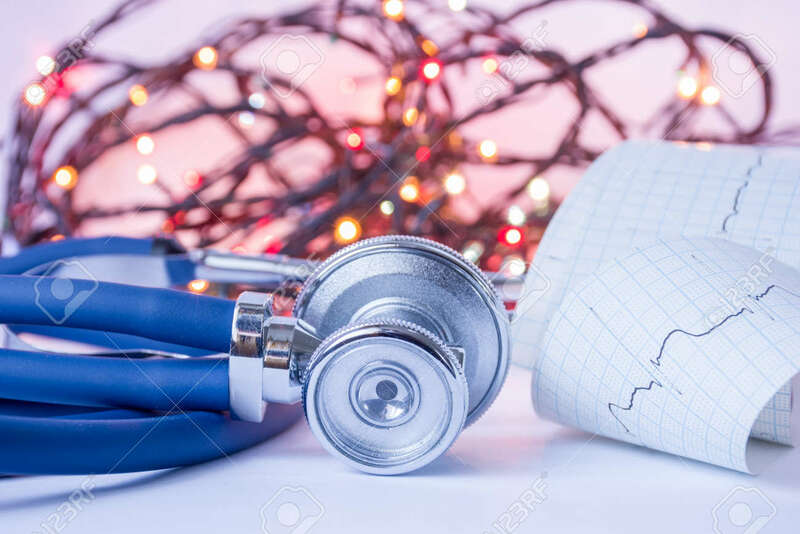 Medical stethoscope and ECG tape with pulse trace in foreground with blurred lights bulbs Christmas garlands in background.